Holiday goers can choose whether to go for wildlife safaris, beach holidays vacation trips, Mountain climbing, culture travel or sightseeing tours in historical cities. Safaris bookings is famous wildlife tours in Africa and can include trekking Kilimanjaro. The Classic Tours and Safaris Limited is a sister company to the Impala Hotel, Ngurdoto Mountain Lodge, Naura Springs Hotel, do organizes safaris and Mount Kilimanjaro climbing tours in Tanzania. 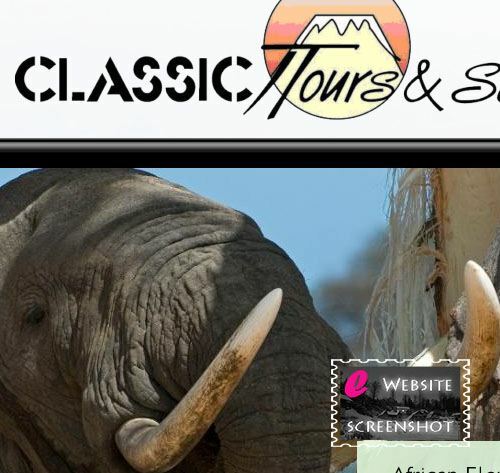 Classic Tours Co. has a fleet of spacious comfortable 4WD vehicles to explore the true African wilderness.